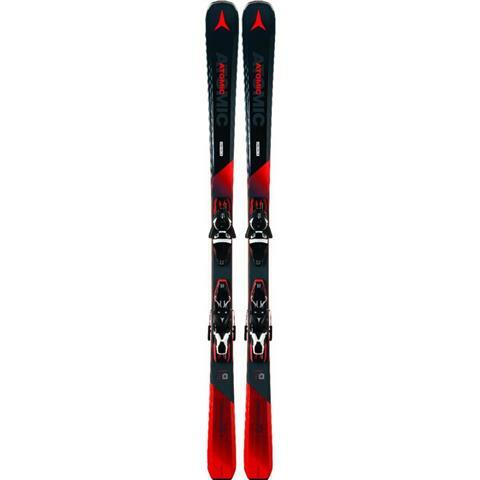 The Vantage X 77 C from Atomic makes a great ski for the athletic beginner up to sold intermediate skier who wants to learn a clean carve that will feel stable on the groomers. Atomic's Carbon Tank Mesh Construction uses woven fibers of Carbon that add extra strength to the ski without adding any extra weight. The Light Woodcore and Densolite Core blend together composite materials and wood to add a light and snappy feel that is forgiving enough for the true beginner, yet strong enough for the solid intermediate to push their speed limits. An Exo Profile uses a unique 3D shape with slanted sidewalls that help the X 77 lose even more weight and improve maneuverability by lowering the swingweight. The All-Mountain Rocker has a rockered tip with camber underfoot that initiates turns easily if you are parallel turning or makes it easier to push out a snowplow. If you want a tremendous value on a ski that helps you improve rapidly, the Atomic Vantage X 77 C is a perfect choice.